The Australian Securities Exchange (ASX) is Australia’s primary securities exchange. It was created by the merger of the Australian Stock Exchange and the Sydney Futures Exchange in July 2006. Today, ASX has an average daily turnover of $4.685 billion and a market capitalisation of around A$1.2 trillion, making it one of the world’s top-10 listed exchange groups, comparable to the New York Stock Exchange, London Stock Exchange and Deutsche Bourse. 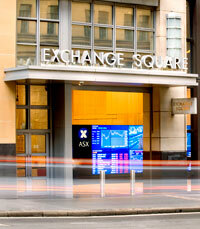 ASX Group is a market operator, clearing house and payments system facilitator. It also oversees compliance with its operating rules, promotes standards of corporate governance among Australia’s listed companies and helps to educate retail investors. ASX Compliance – is the brand under which services are provided to the ASX Group for the ongoing monitoring and enforcement of compliance with the ASX operating rules. This entity replaces ASX Markets Supervision. Funds management – Due in large part to its compulsory superannuation system, Australia has the largest pool of funds under management in the Asia-Pacific region, and the 4th largest in the world. The Australian Securities and Investments Commission Australian Securities and Investments Commission (ASIC) has responsibility for the supervision of real-time trading on Australia’s domestic licensed financial markets and the supervision of the conduct by participants (including the relationship between participants and their clients) on those markets. ASIC also supervises ASX’s own compliance as a public company with ASX Listing Rules. ASX Compliance is an ASX subsidiary company that is responsible for monitoring and enforcing ASX-listed companies’ compliance with the ASX operating rules. The Reserve Bank of Australia (RBA) has oversight of the ASX’s clearing and settlement facilities for financial system stability. Products and services available for trading on ASX include shares, futures, exchange traded options, warrants, contracts for difference, exchange-traded funds, real estate investment trusts, listed investment companies and interest rate securities. The biggest stocks traded on the ASX, in terms of market capitalisation, include BHP Billiton, Commonwealth Bank of Australia, Westpac, Telstra, Rio Tinto, National Australia Bank and Australia and New Zealand Banking Group. The origins of the ASX date back to the mid 1800s when six separate exchanges were established in Australia’s state capital cities ofMelbourne, Victoria, (1861), Sydney, New South Wales (1871), Hobart, Tasmania (1882), Brisbane, Queensland (1884), Adelaide, South Australia (1887) and Perth, Western Australia (1889). A further exchange in Launceston, Tasmania, merged into the Hobart exchange. In November 1903 the first interstate conference was held to coincide with the Melbourne Cup. The exchanges then met on an informal basis until 1937 when the Australian Associated Stock Exchanges (AASE) was established, with representatives from each exchange. Over time the AASE established uniform listing rules, broker rules, and commission rates. Trading was conducted by a call system, where an exchange employee called the names of each company and brokers bid or offered on each. In the 1960s this changed to a post system. Exchange employees called “chalkies” wrote bids and offers in chalk on blackboards continuously, and recorded transactions made. The ASX (Australian Stock Exchange Limited) was formed in 1987 by legislation of the Australian Parliament which enabled the amalgamation of six independent stock exchanges that formerly operated in the state capital cities. After demutualisation the ASX was the first exchange in the world to have its shares quoted on its own market. The ASX was listed on 14 October 1998. On 7 July 2006 the Australian Stock Exchange merged with SFE Corporation, holding company for the Sydney Futures Exchange. 1861: Ten years after the official advent of the Gold Rush, Australia’s first stock exchange was formed in Melbourne. In the 1850s Victoria was Australia’s gold mining centre, its population increasing from 80,000 in 1851 to 540,000 in 1861. 1885: Two years after the Broken Hill Mining Company (private company) was established by a syndicate of seven men from the Mt Gipps sheep station, the company was incorporated to become The Broken Hill Proprietary Company Limited (‘BHP’). In 1885, Broken Hill Proprietary Company (BHP) listed on ASX. 1937: The Australian Associated Stock Exchanges (AASE) was established in 1937. Since 1903 the state stock exchanges had met on an informal basis, but in 1936 Sydney took the lead in formalising the association. Initially this involved the Exchanges in Adelaide, Brisbane, Hobart and Sydney. Melbourne and Perth joined soon after. Through the AASE the Exchanges gradually brought in common listing requirements for companies and uniform brokerage and other rules for stockbroking firms. They also set the ground rules for commissions and the flotation of government and semi-government loan raisings. 1939: Sydney Stock Exchange closed for the first time due to the declaration of the World War. 1969–1970: The Poseidon bubble (a mining boom triggered by a nickel discovery in Western Australia) caused Australian mining shares to soar and then crash, prompting regulatory recommendations that ultimately led to Australia’s national companies and securities legislation. 1984: Brokers’ commission rates were deregulated. Commissions have gradually fallen ever since, with rates today as low as 0.12% or 0.05% from discount internet-based brokers. 1984: Sydney Stock Exchange closed due to heavy rain and flooding on Friday 9 November 1984 with 70 millimetres of rain falling in one half-hour. All trading on the floor of the Sydney Exchange was suspended throughout Friday. Damage tolled $2 million and repairs took more than six months, with new carpet laid and cables and computers replaced. Stockbrokers who had taken advantage of joint access were able to trade on the Stock Exchange of Melbourne. And, with the Sydney trading floor closed by floodwaters, the Melbourne Exchange enjoyed its busiest trading day for the year. 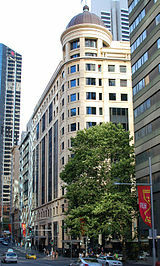 After that episode a back-up site was established out of the Sydney CBD. 1987: The Australian Stock Exchange Limited (ASX) was formed on 1 April 1987, through incorporation under legislation of the Australian Parliament. The formation of this national stock exchange involved the amalgamation of the six independent stock exchanges that had operated in the states’ capital cities. Launch of the Stock Exchange Automated Trading System (SEATS). It was a far cry from the original system which dated back over 100 years. During that time there had been three different forms of trading on the Australian stock exchanges. The earliest was the auction-based call system, which saw a stock exchange employee (the Caller) call the name of each listed security in turn while Members bid, offered, sold or bought the stock at each call. This system proved inadequate to handle the increased volume of trading during the mining booms. It was replaced by the ‘post’ system in the early 1960s, which involved stocks being quoted on ‘posts’ or ‘boards’. ‘Chalkies’ were employed by the Stock Exchange and it was their function to record in chalk the bids and offers of the operators (employees of stockbrokers) and the sales made. This system stayed in place until 1987. 1993: Fixed-interest securities were added (see Interest rate market below). Also in 1993, the FAST system of accelerated settlement was established, and the following year the CHESS system (see Settlementbelow) was introduced, superseding FAST. 1998: ASX demutualised and become a listed company. It was the first exchange in the world to demutualise and list on its own market, a trend that has been imitated by several other exchanges over the years. The Australian Mutual Provident Society began in 1849 as an organisation offering life insurance. Now known as AMP it became a publicly listed company on the ASX in 1998. 2001: Stamp duty on marketable securities was abolished. 2010: The ASX announced a merger with Singapore Exchange. 2011: Treasurer Wayne Swan finds the proposed merger with the Singapore Stock Exchange to not be in the best interests of Australia and refuses to grant permission for the merger.